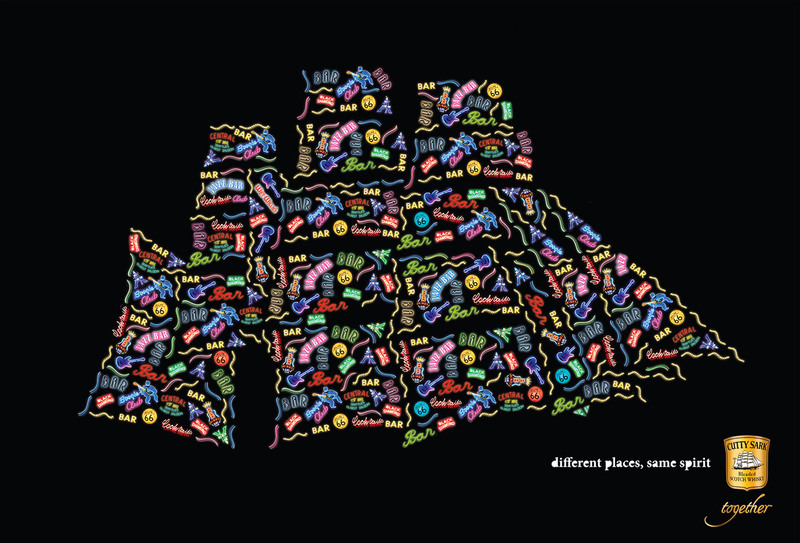 Cutty Sark’s “Together” print campaign celebrates the idea that what unites us is always stronger than what divides us. 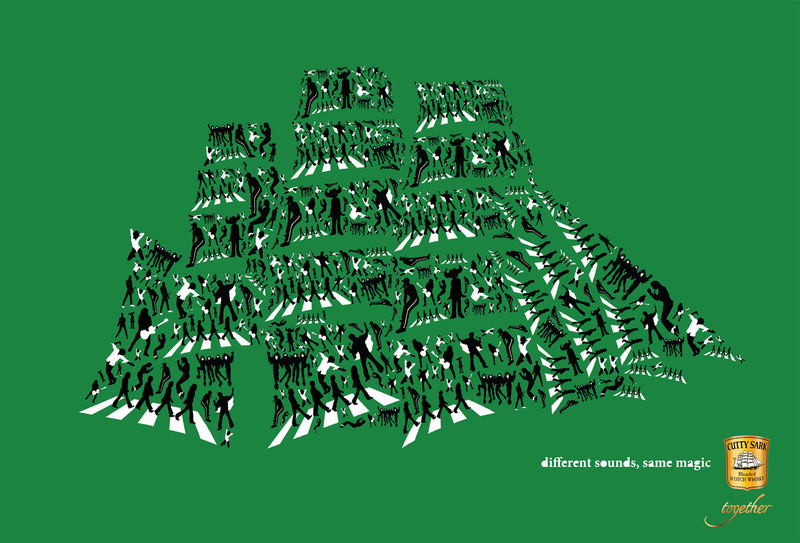 Unity and diversity on different themes are illustrated on the brand’s symbol, the sails of the Cutty Sark. 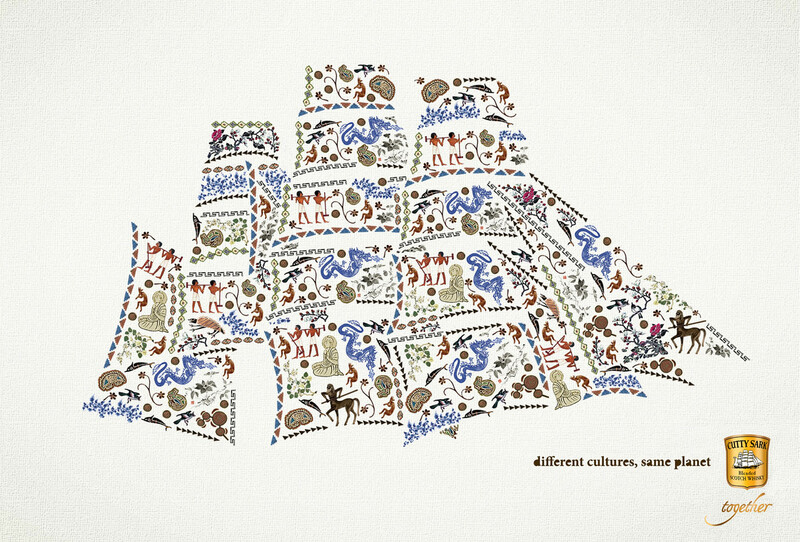 The print ad “Civilizations” won a gold award in the Greek Ermis Advertising awards.